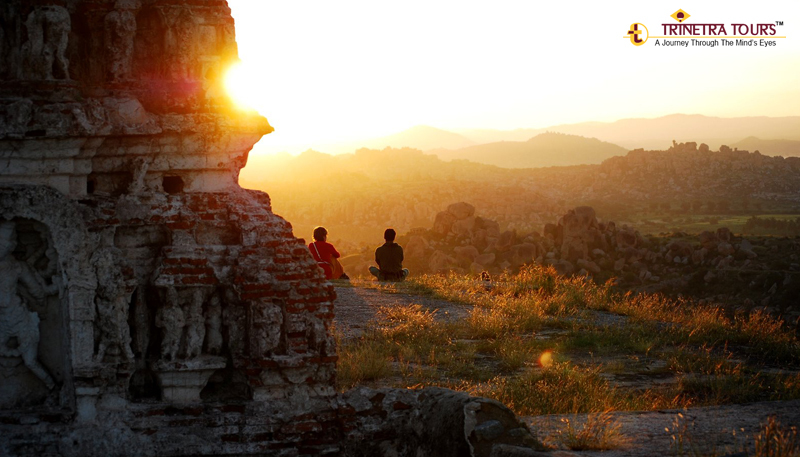 Once the richest and largest city in the world, the ruins of Hampi now lie scattered in about 26 SQ. 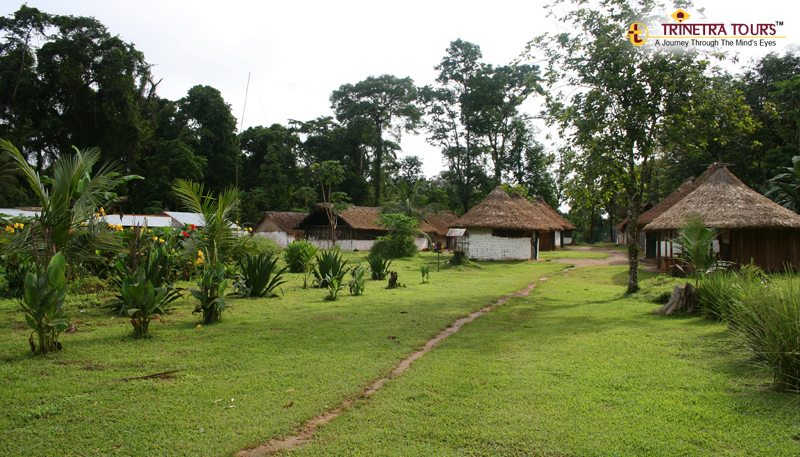 km area, amidst giant boulders and vegetation. Protected by faithful Rivers and nature’s bounty – it also narrates the story of splendour and fabulous wealth. However, unlike other World Heritage sites, Hampi combines the architectural brilliance with a long list of must do’s that will inspire you for visiting the place which is one of its kind. 1. 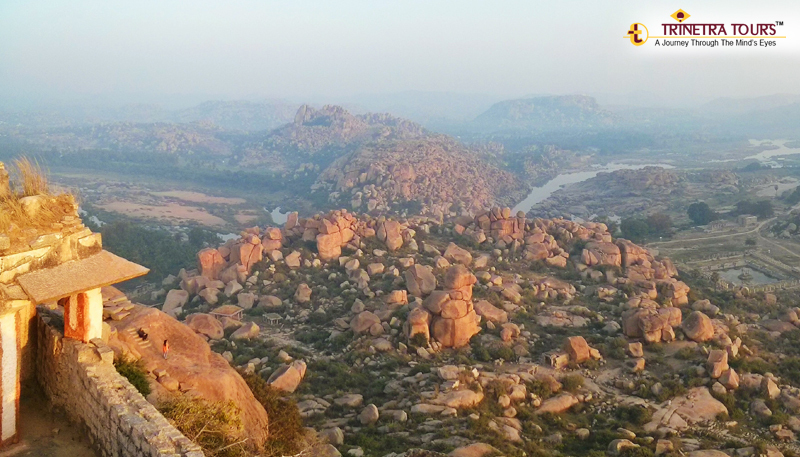 Get transfixed by the remains of monuments at Hampi. Strolling around the ages old remains of this town and huge boulder stones will literally leave you awestruck. 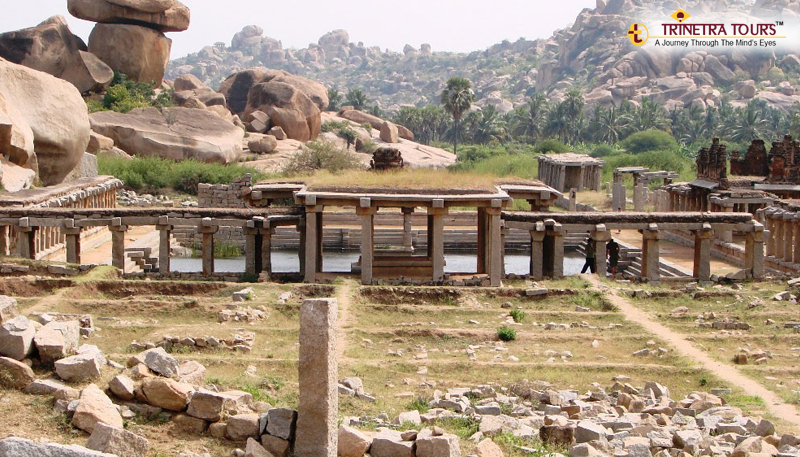 It is believed that the first historical settlement in Hampi was built around 1 CE (Common Era). 2. Get adventure thrills, and, prize yourself with the bountiful view of the valley below as you climb to the top. 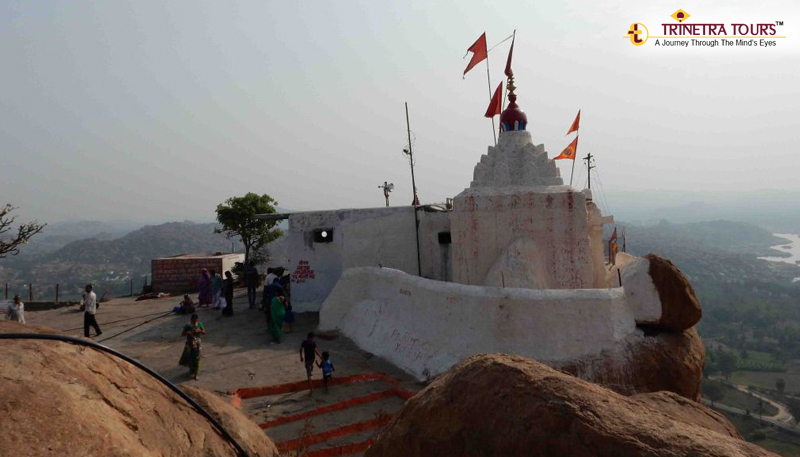 The highest peak/hill is Matanga Hill, where there is a small temple as well and the atmosphere is just thrilling. 3. Swoon into the stunning sunset and hear live melodious music being played at a nearby hill which is especially known as the sunset point. 4. 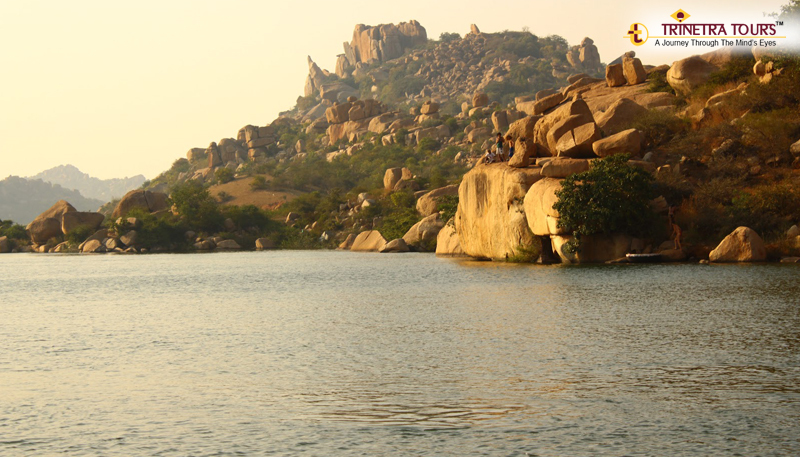 While in Hampi, you can also experience the red river which needs to be crossed while going to the Hippie Island from Hampi. You can take a ferry to reach there, and trust us, it will be an experience to remember as you float through the red water amongst some wrecked statues and crocodiles beneath. 5. 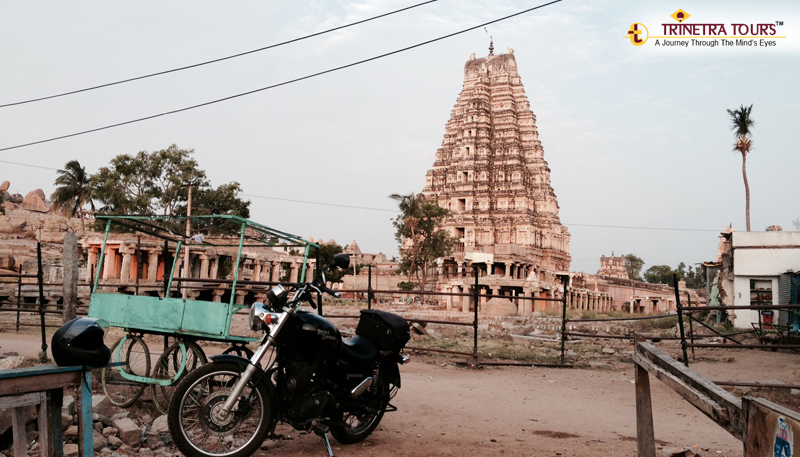 As Hampi is a beautiful town in so many ways, we suggest that you go for a biking tour to get the overview of the place. Certainly, at the end of the tour, you’ll be grinning. 6. As we always stress on experiencing the simple pleasures of life. Staying at the small huts in Hampi is one such thing. 7. The Anjaneya Hill is nearby, which is believed to be the birthplace of Lord Hanuman – one of the most popular and loved God in India. However, the ambiance, as well as the experience that makes this place a must visit, but, be watchful of the monkeys they have a knack of snatching things. 8. And as we always say, if you want to know a place better and make memories of a lifetime you must interact with the local people. When you do so – you know about their culture, the way of living as well as understand their norms, achievements, problems, and challenges.